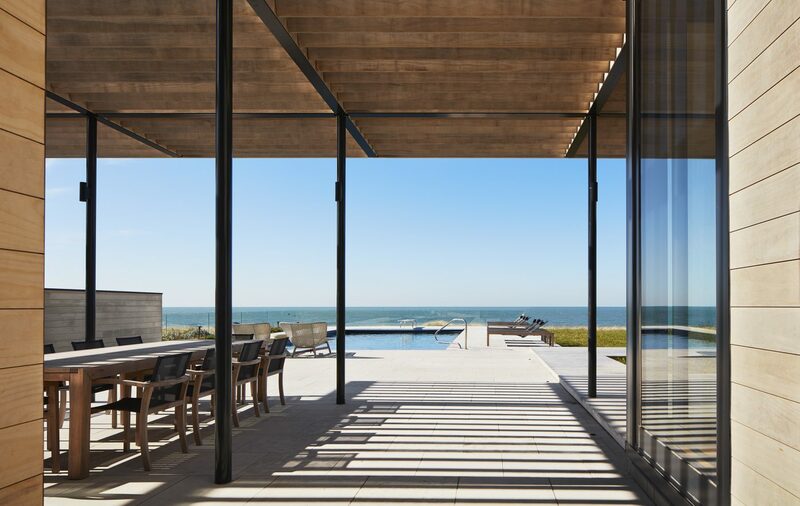 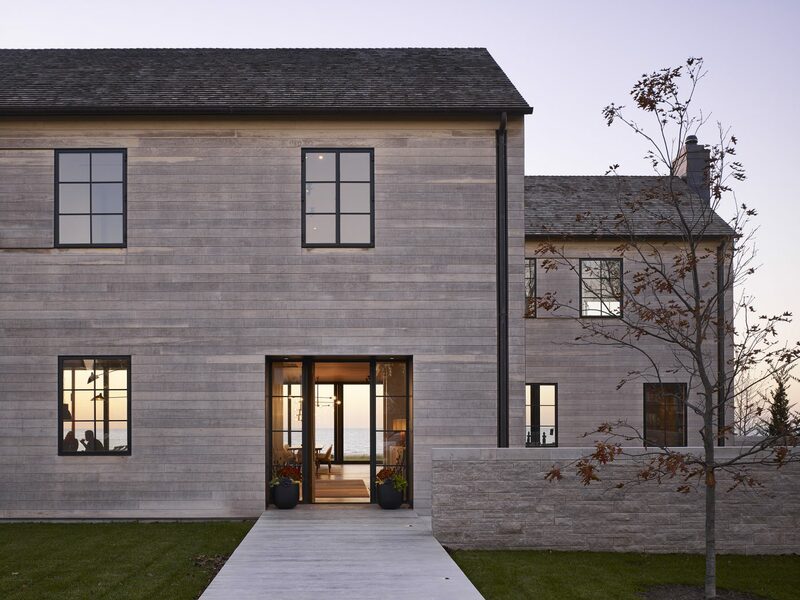 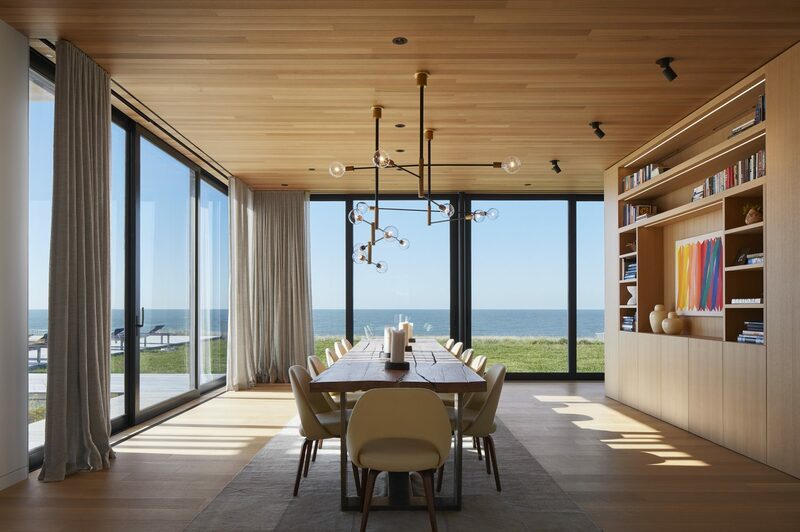 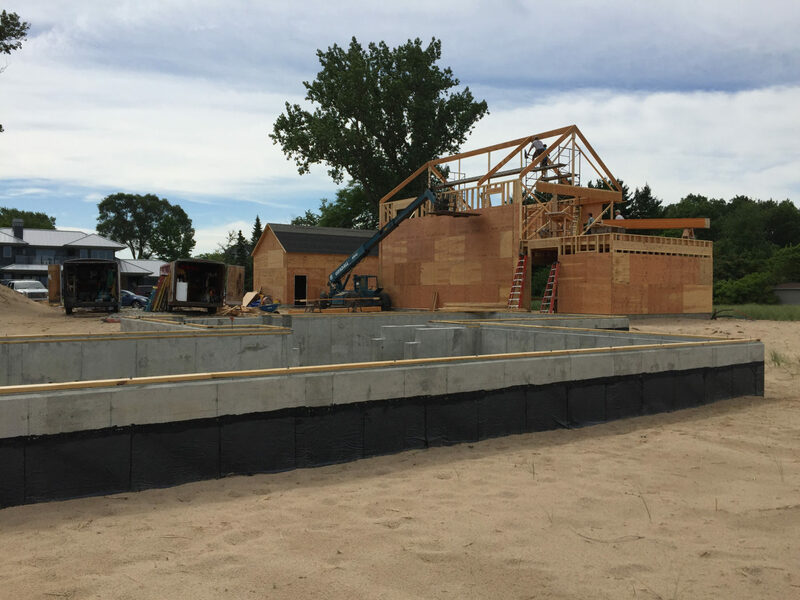 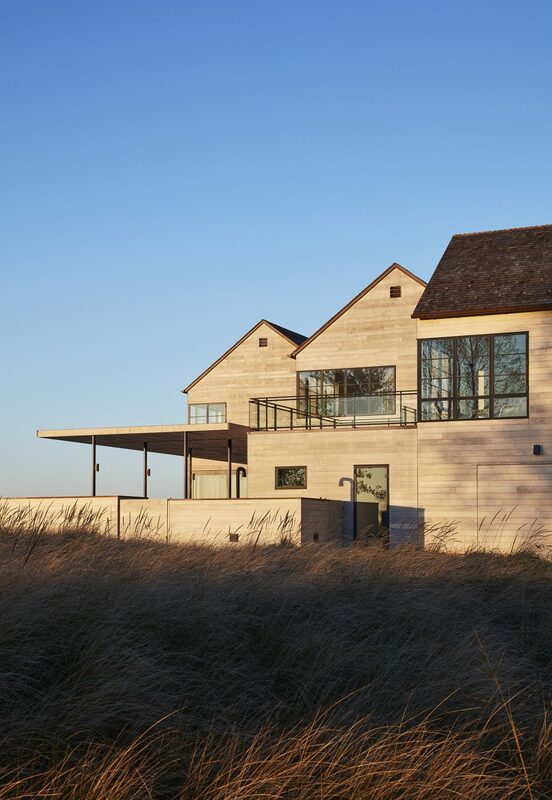 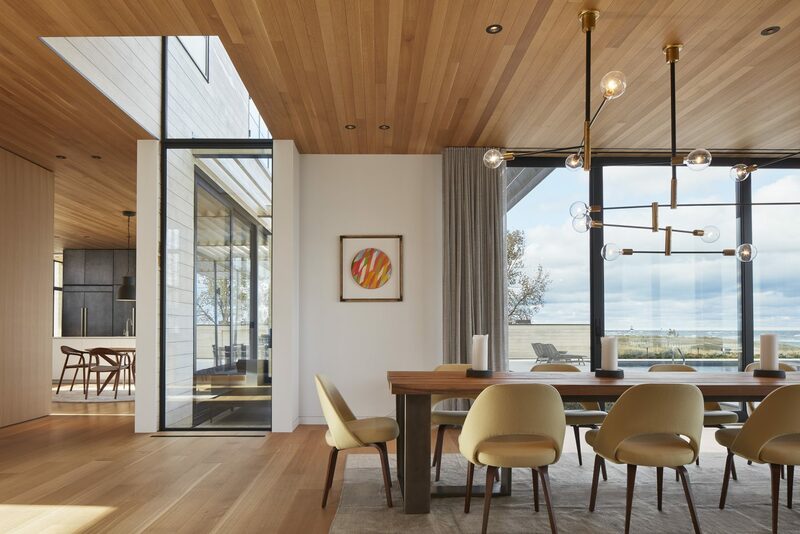 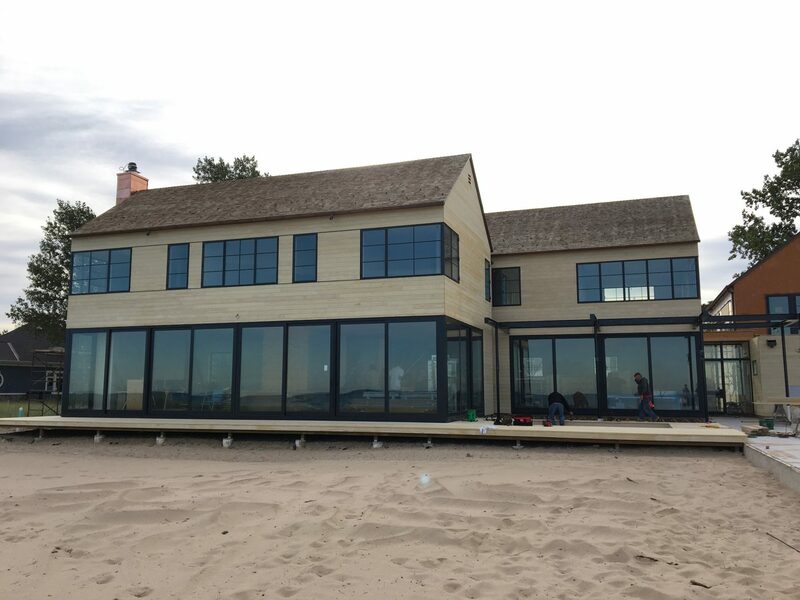 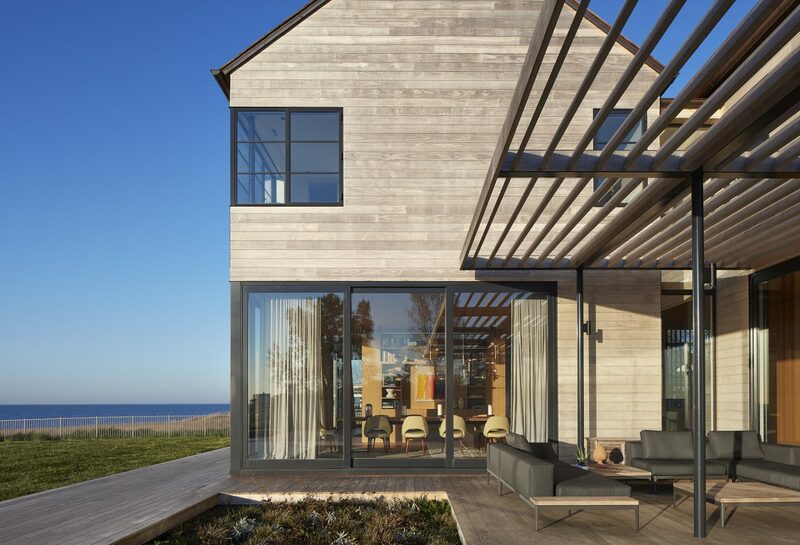 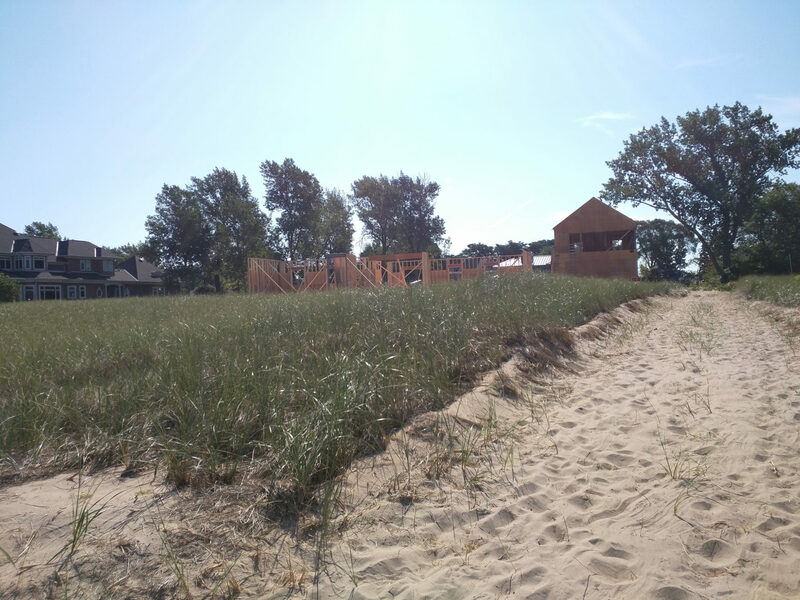 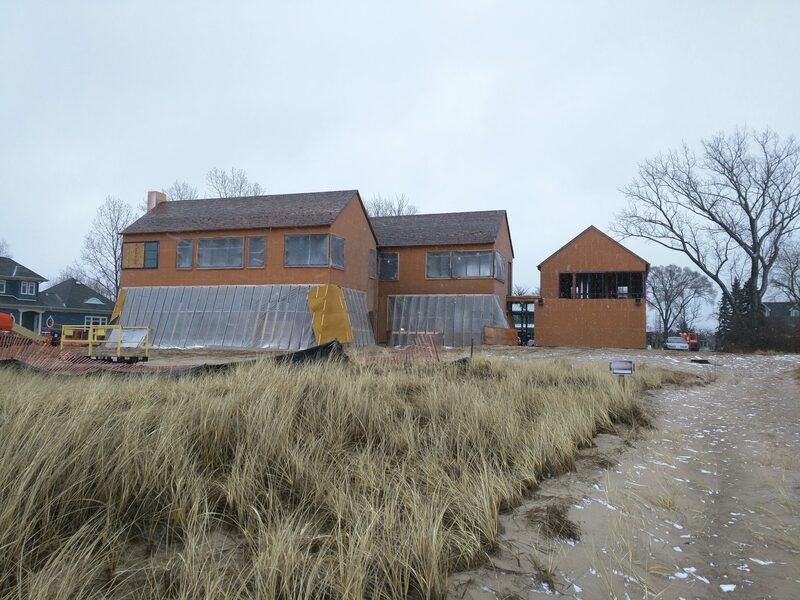 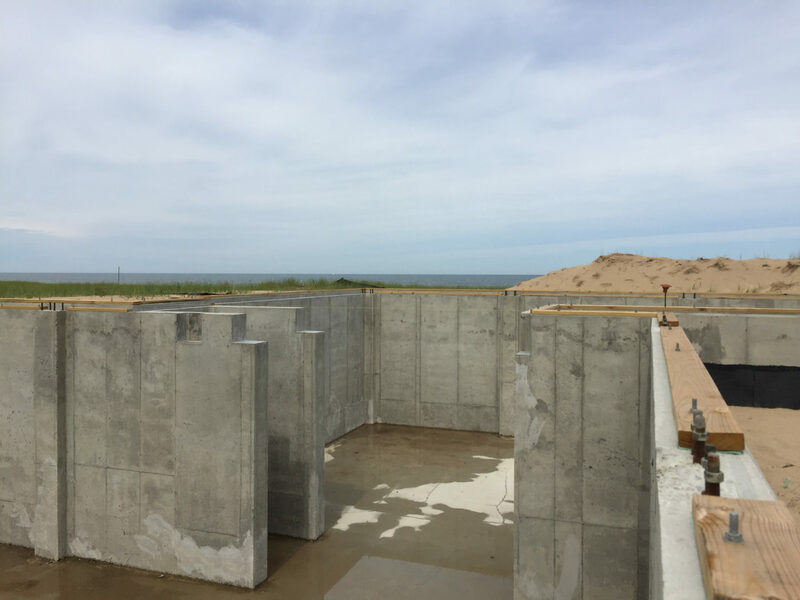 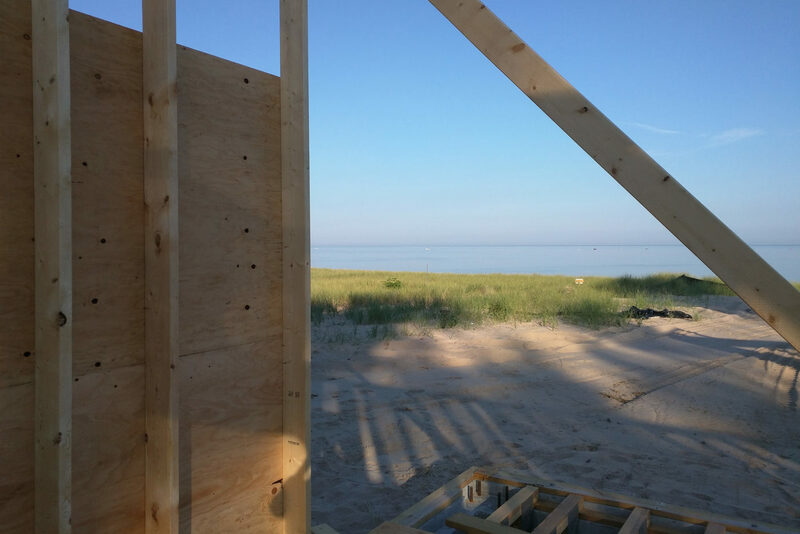 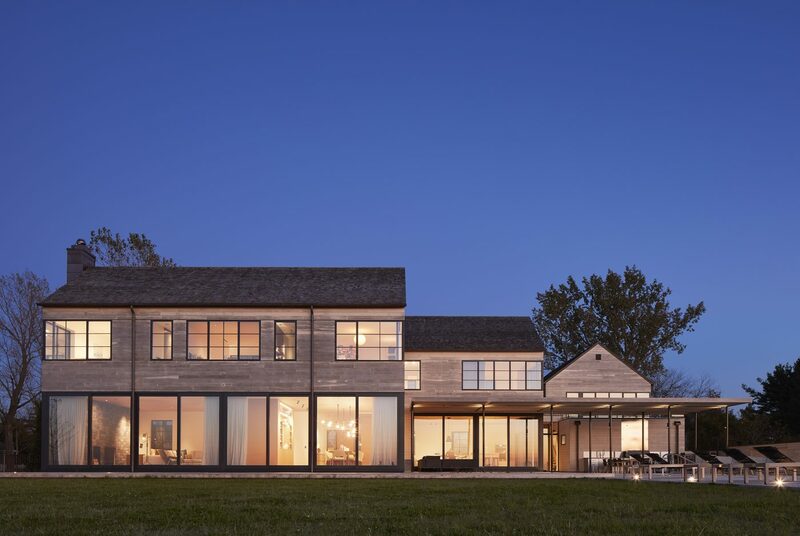 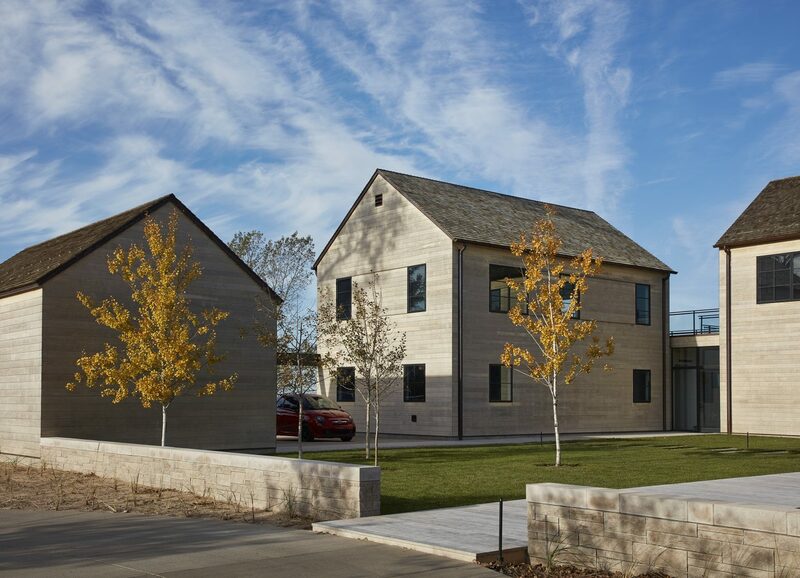 St. Joseph Residence II is a new single-family residence nestled into expansive dune grass along Lake Michigan. 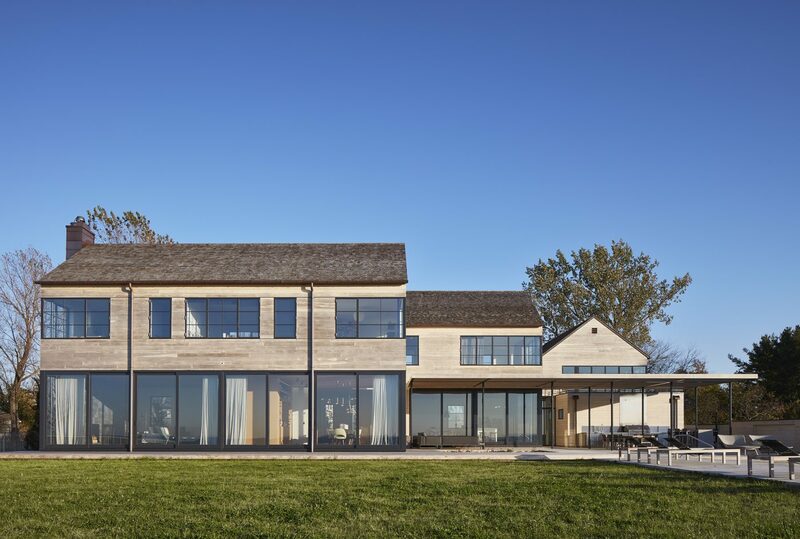 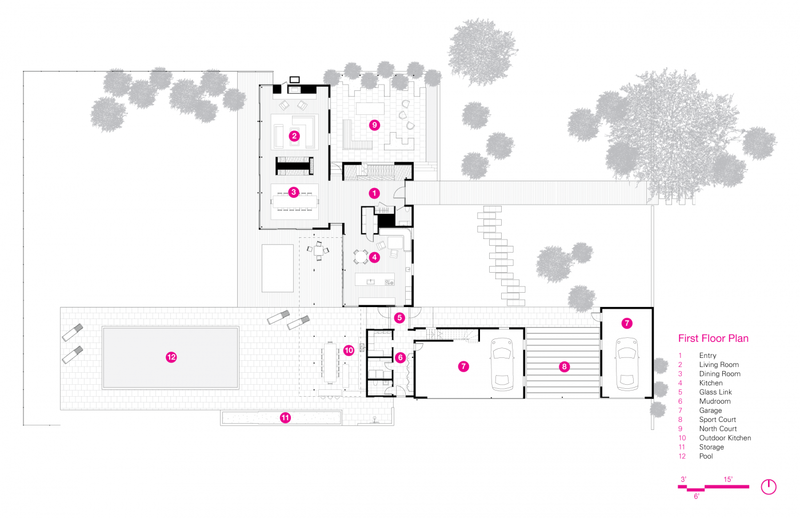 In response to the client’s desire for intimate living spaces, lake views, and privacy from the street, a cluster of vernacular volumes clad in soft, weathering materials are crafted to create a variety of indoor and outdoor spaces for the family and guests. 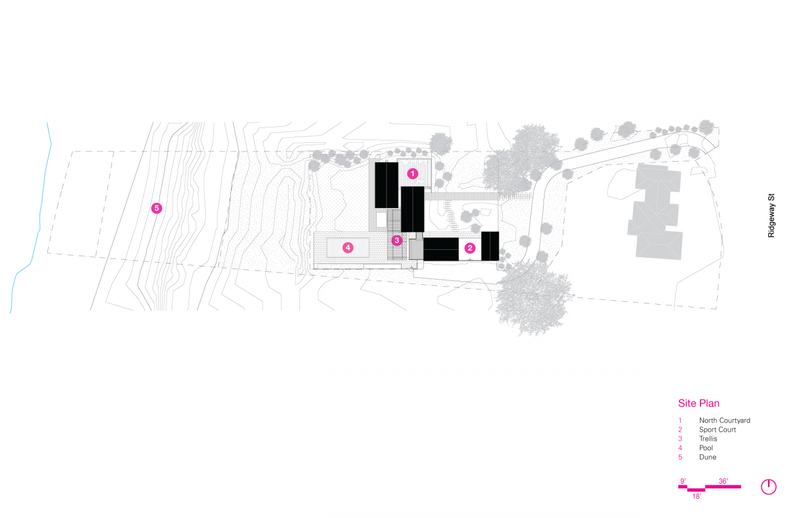 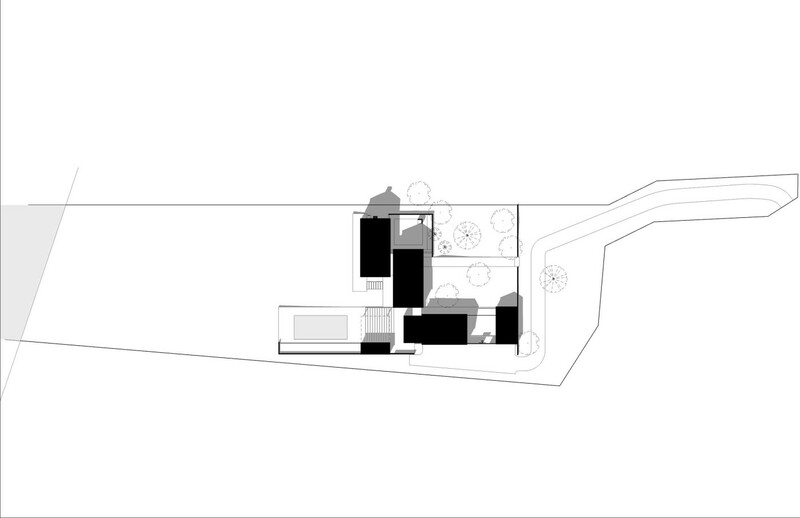 The site offers two distinct environments, street side and lake side. 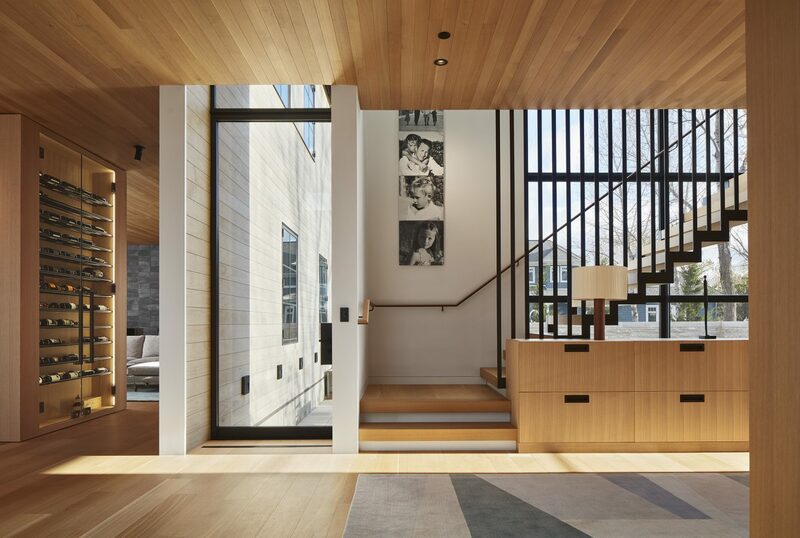 The street-facing “neighborhood” facade is expressed with crisp black-steel, punched openings and a formal entry court. 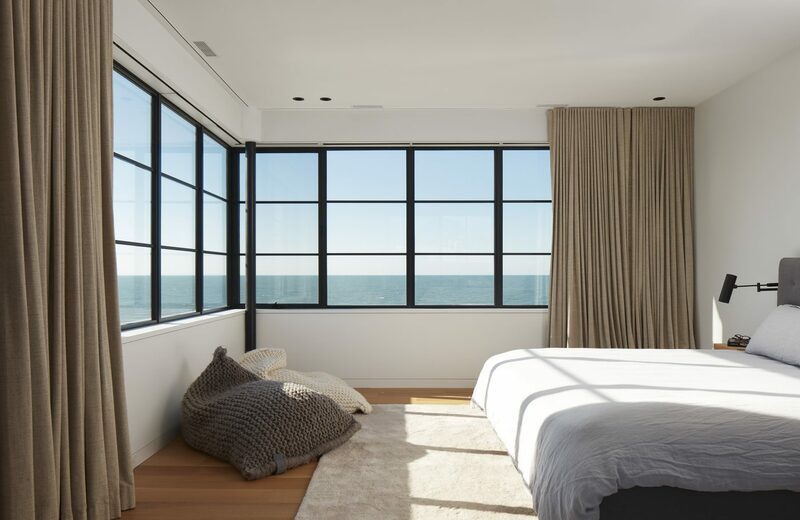 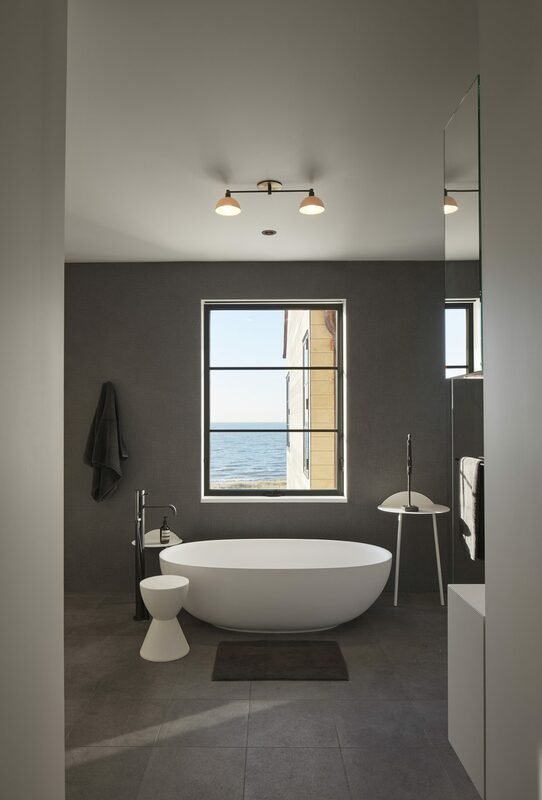 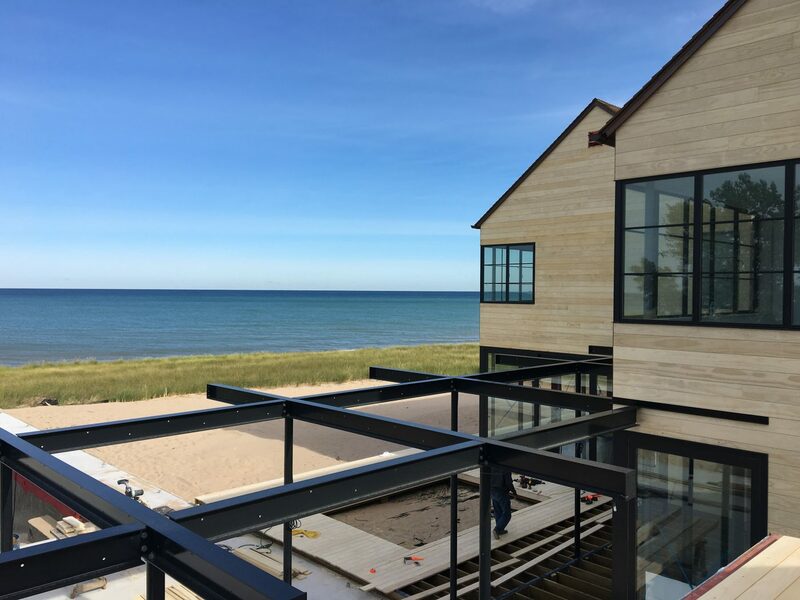 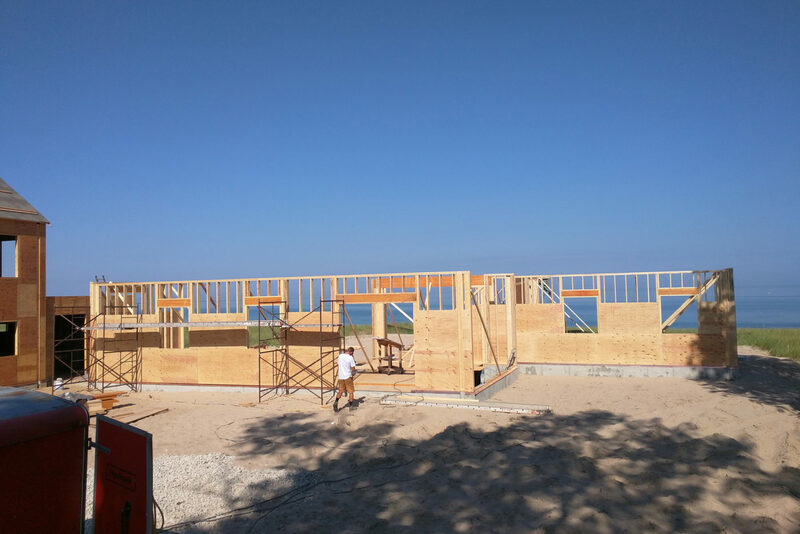 By contrast, on the lake side, floor-to-ceiling glass provides panoramic westward views to the dunes and Lake Michigan. 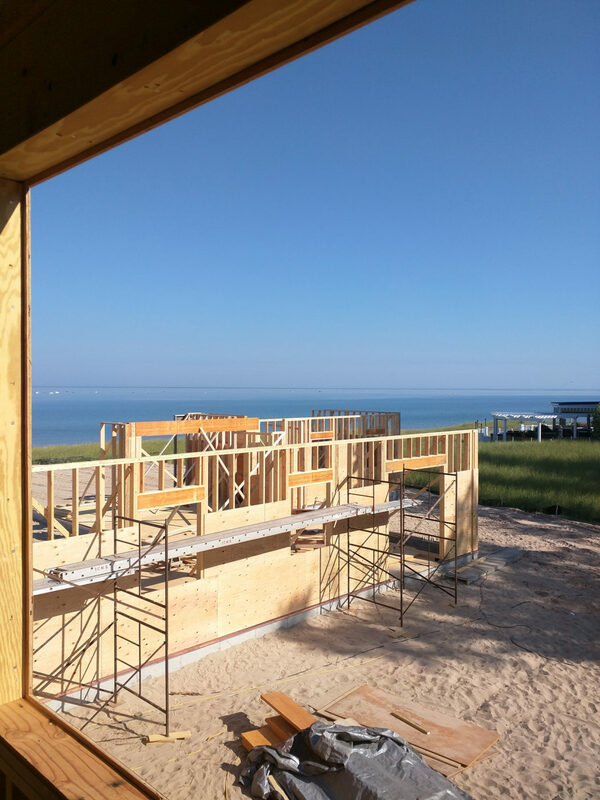 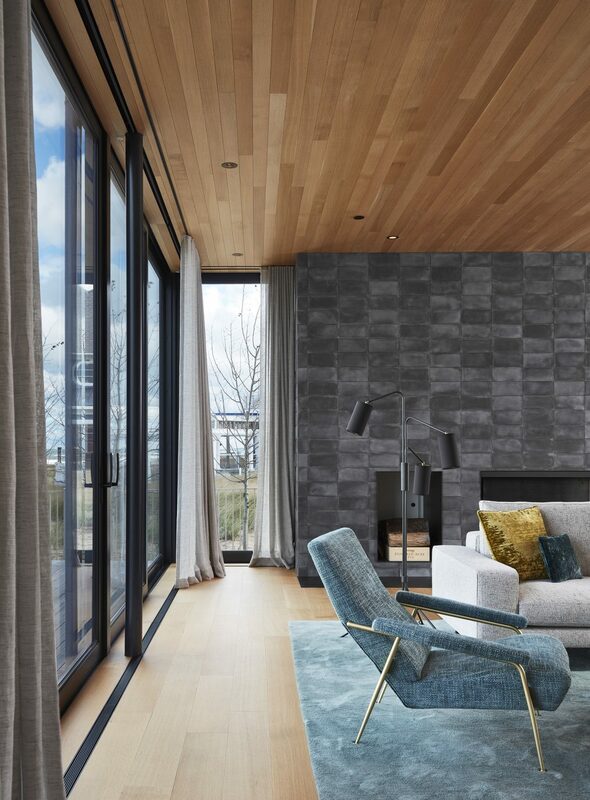 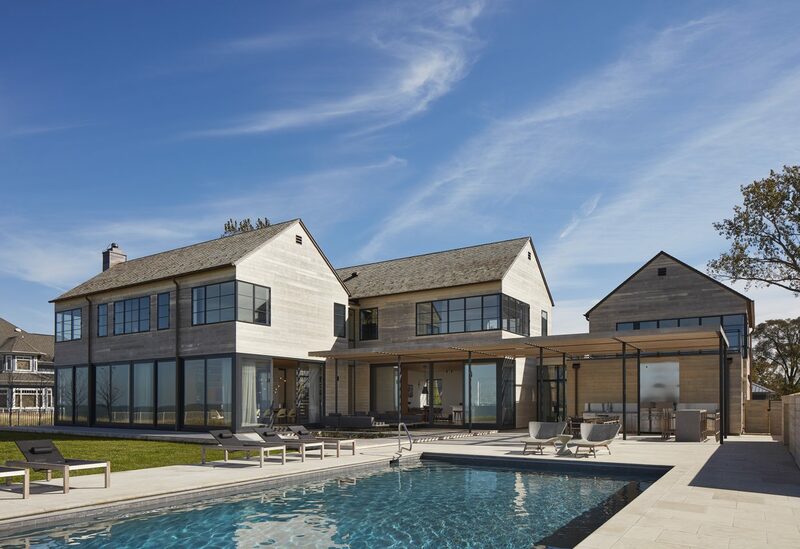 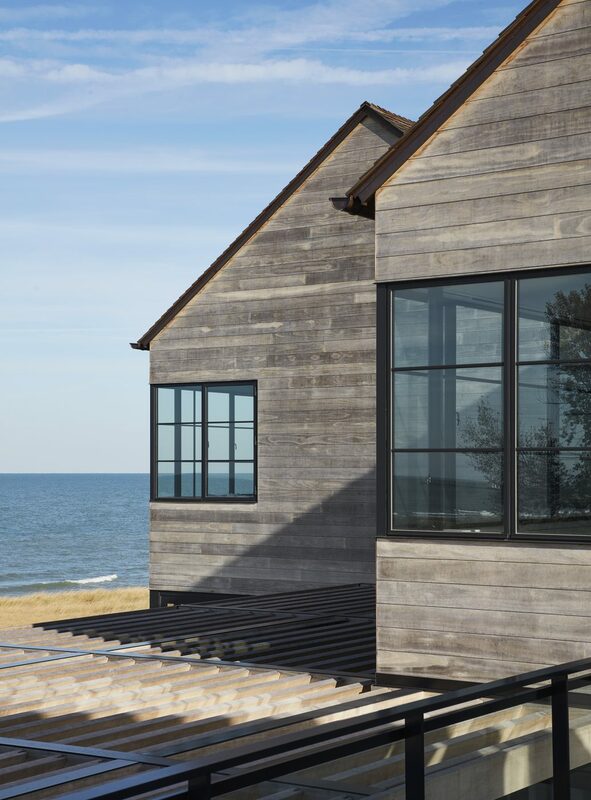 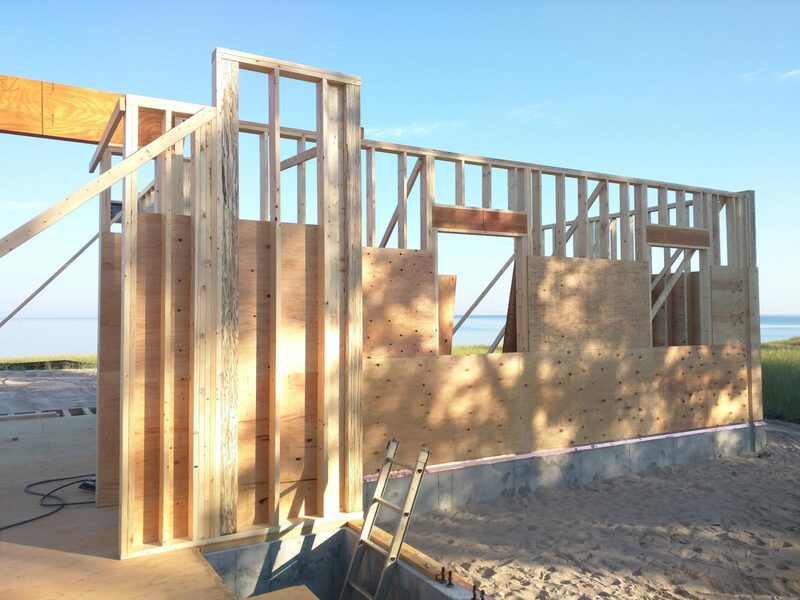 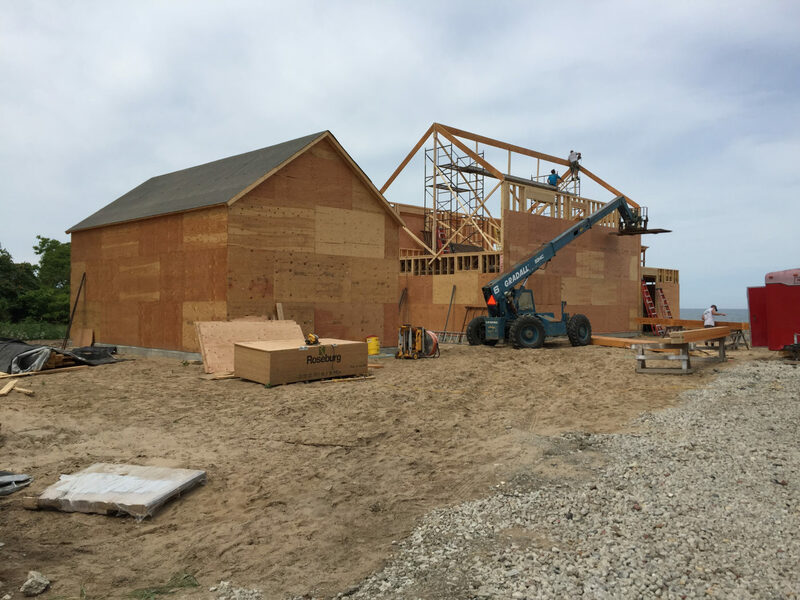 Horizontal shiplap wood-cladding and cedar shingles are detailed in a taut, minimal way, and are designed to both protect and weather gracefully in the constant wind coming off the lake. 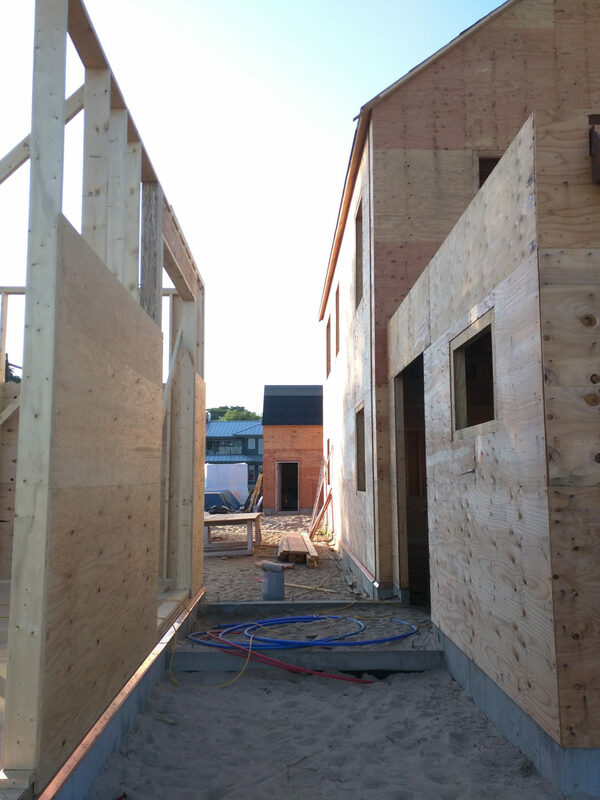 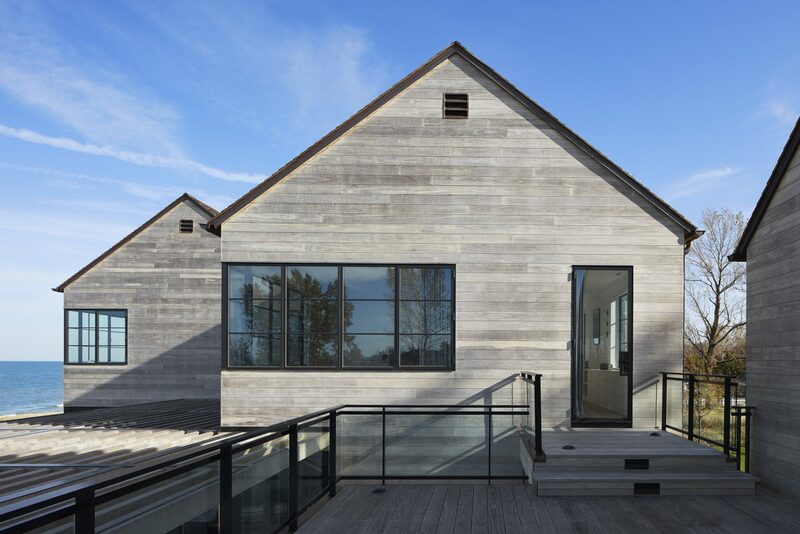 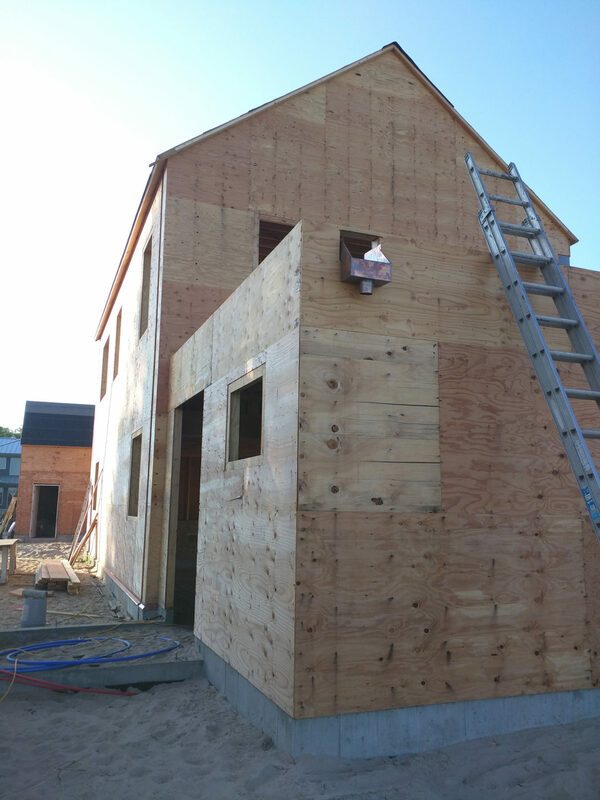 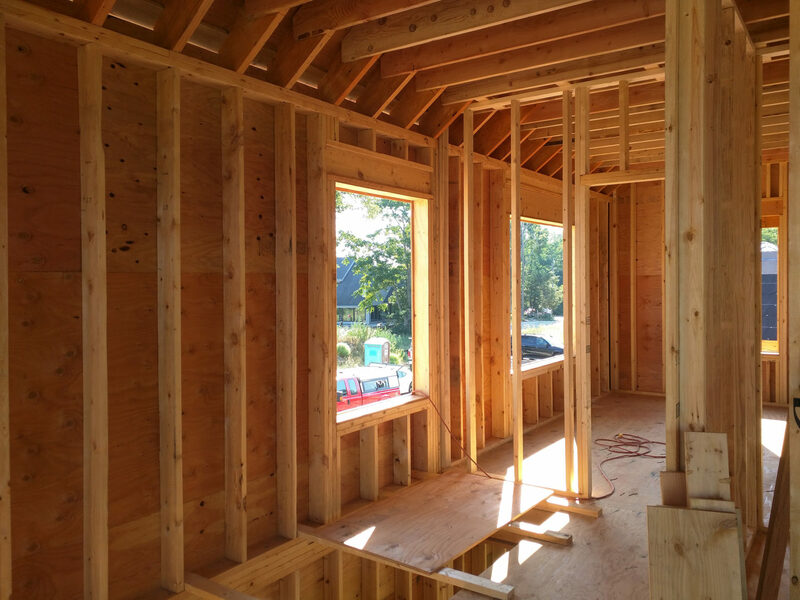 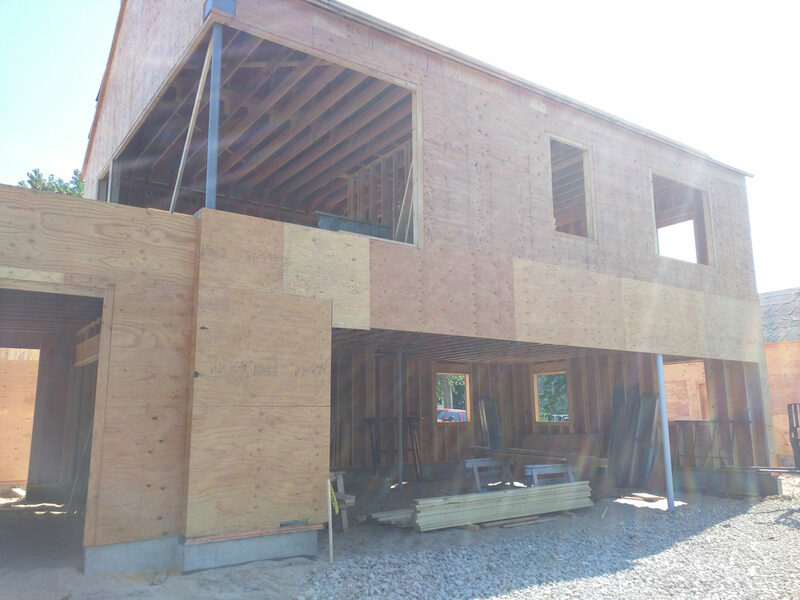 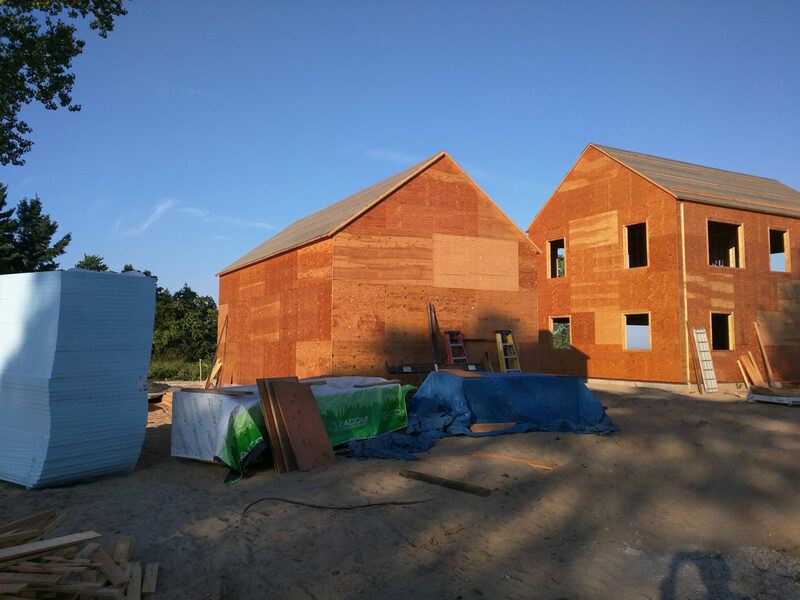 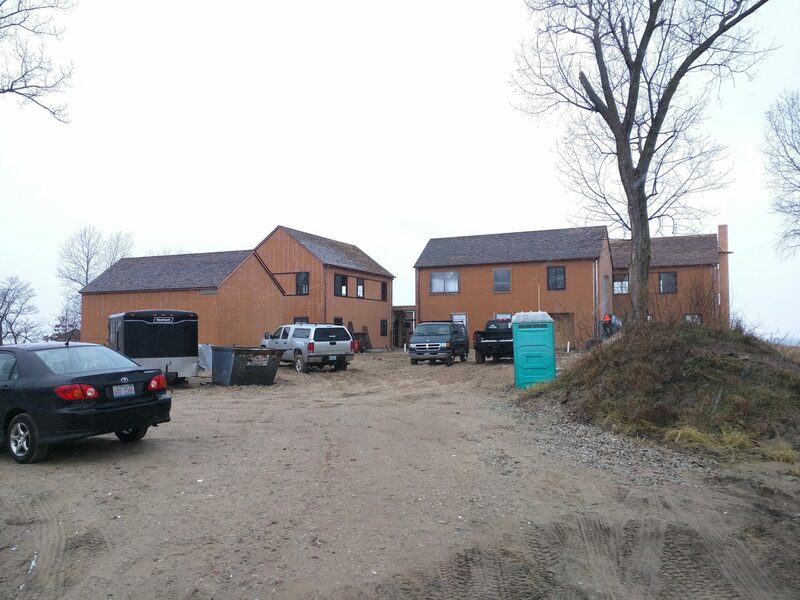 Instead of using local or endangered hardwood siding, an acetylated wood siding, Radiata Accoya, was selected for its sustainable, durable, and rot-resisting features. 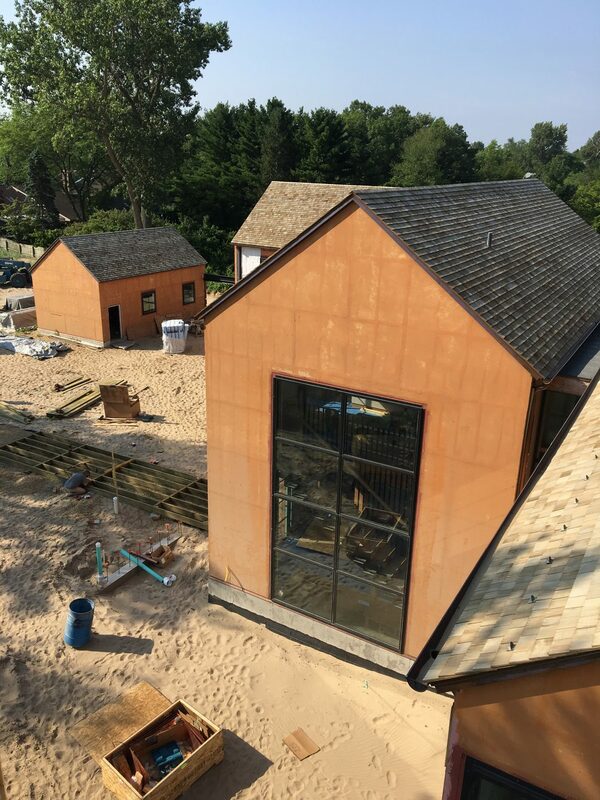 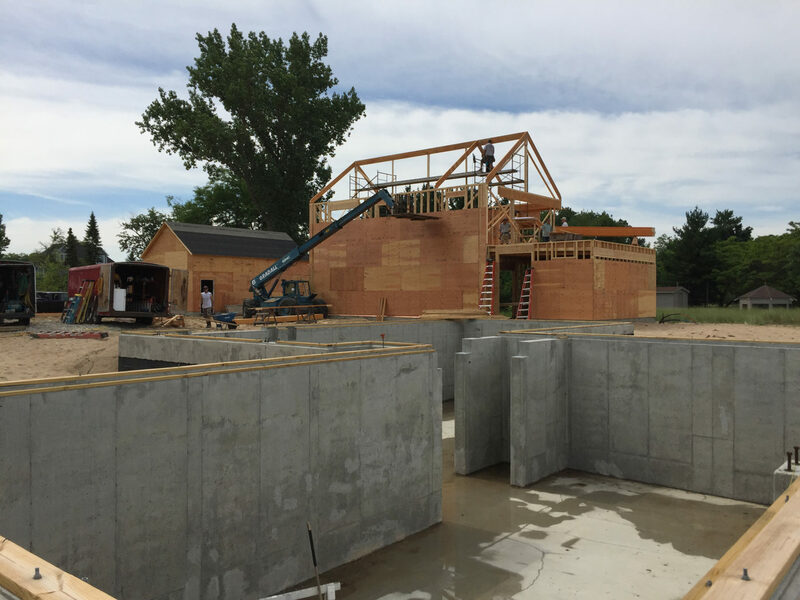 Stainless steel fasteners are used to withstand the acidity of the chosen siding. 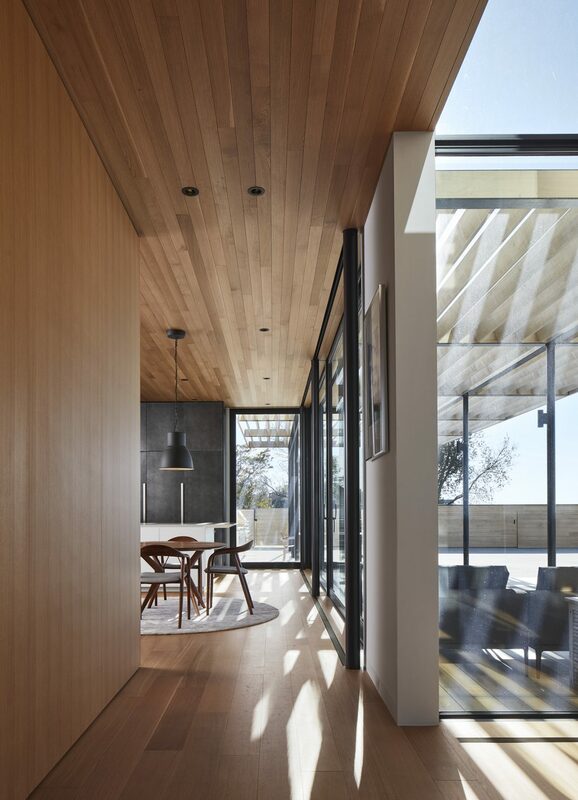 Inside, finer finishes contrast to the weathered outside surfaces, creating warm and intimate environments. 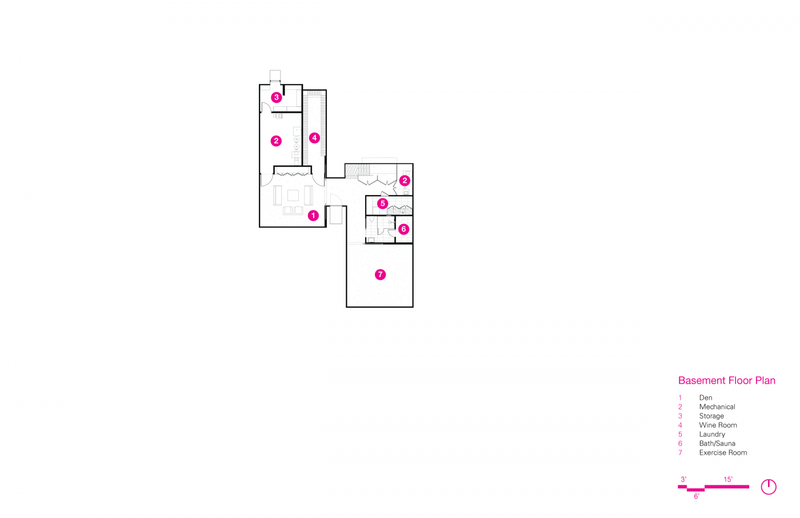 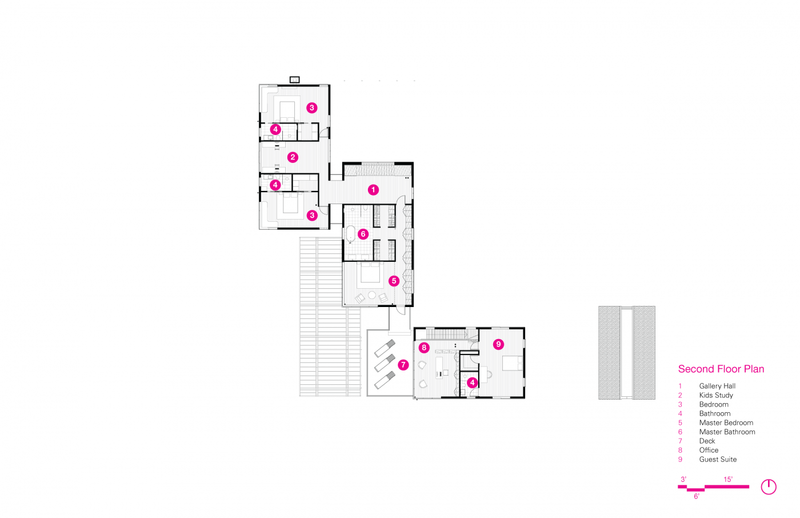 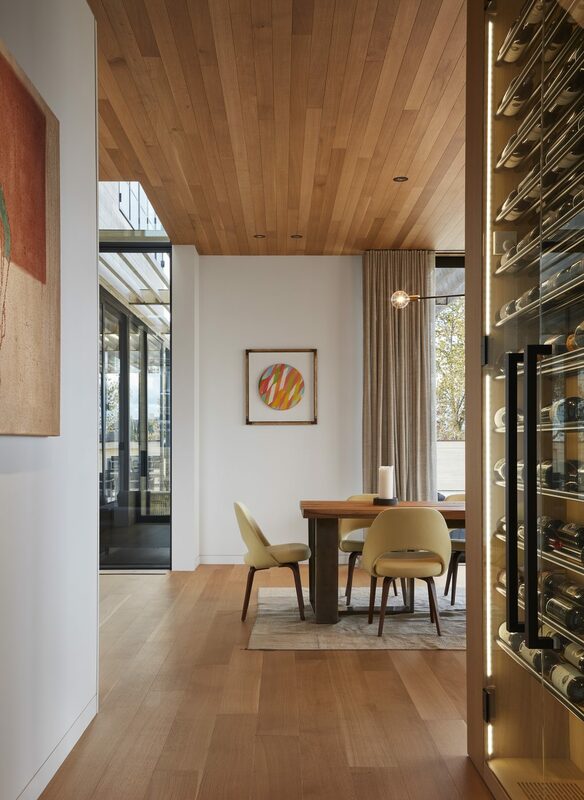 Gathering spaces, throughout the separate volumes, are all united by continuous white oak floors, ceilings and millwork. 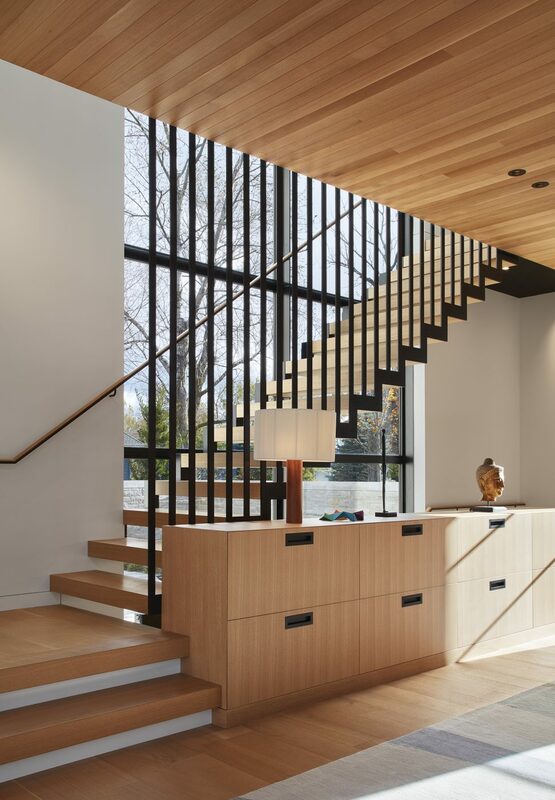 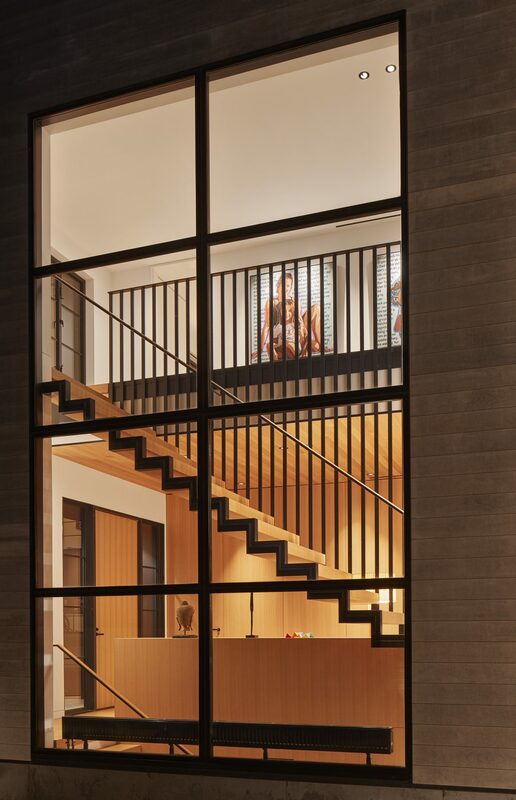 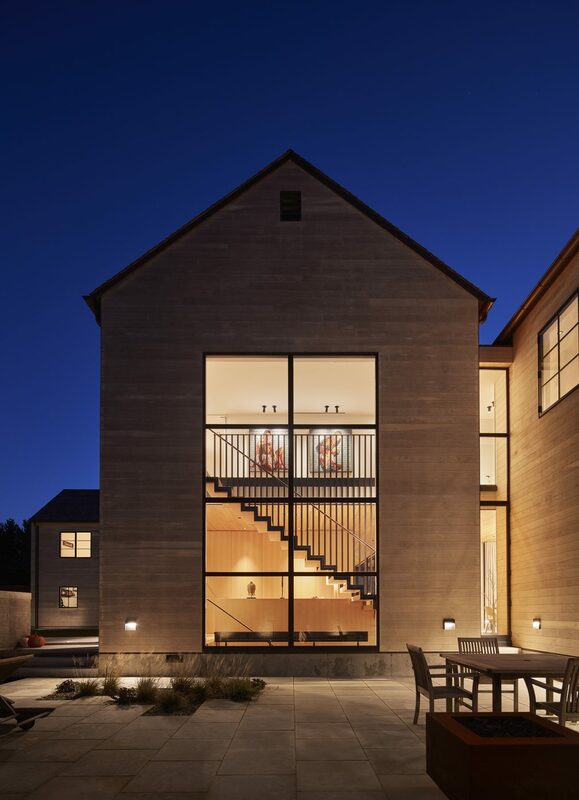 A suspended steel entry staircase features monolithic white oak treads, and a wood top-rail attached to the steel railings. 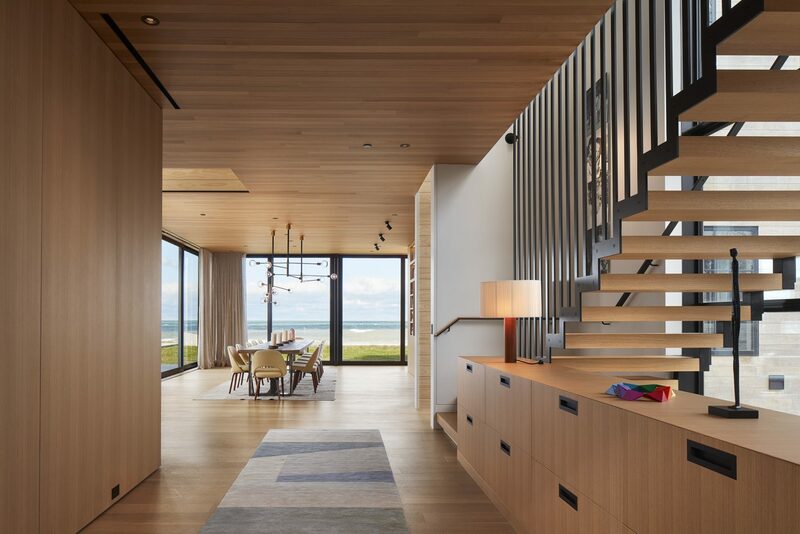 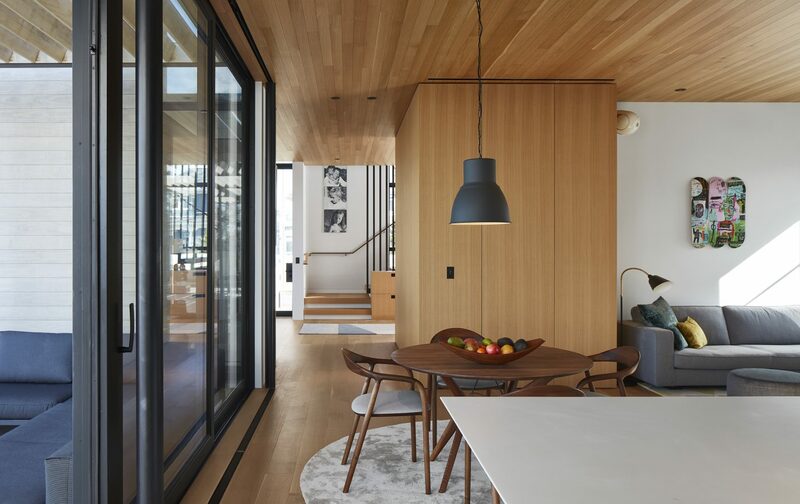 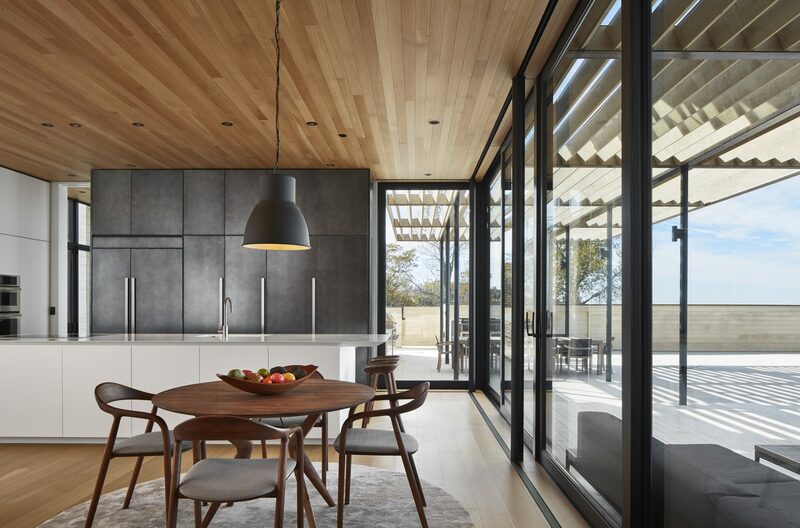 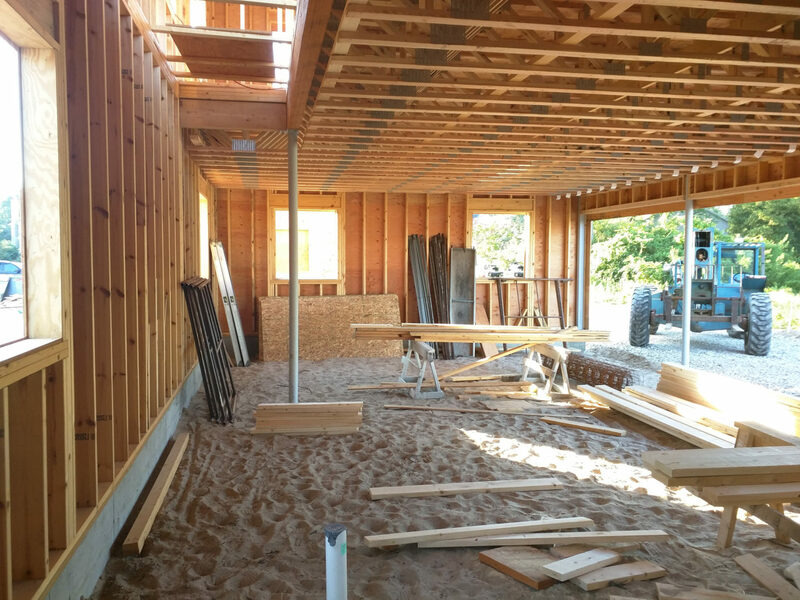 Throughout the home, inside and out, finished or exposed, wood captures the ever-changing dance of light, wind, sand and water.